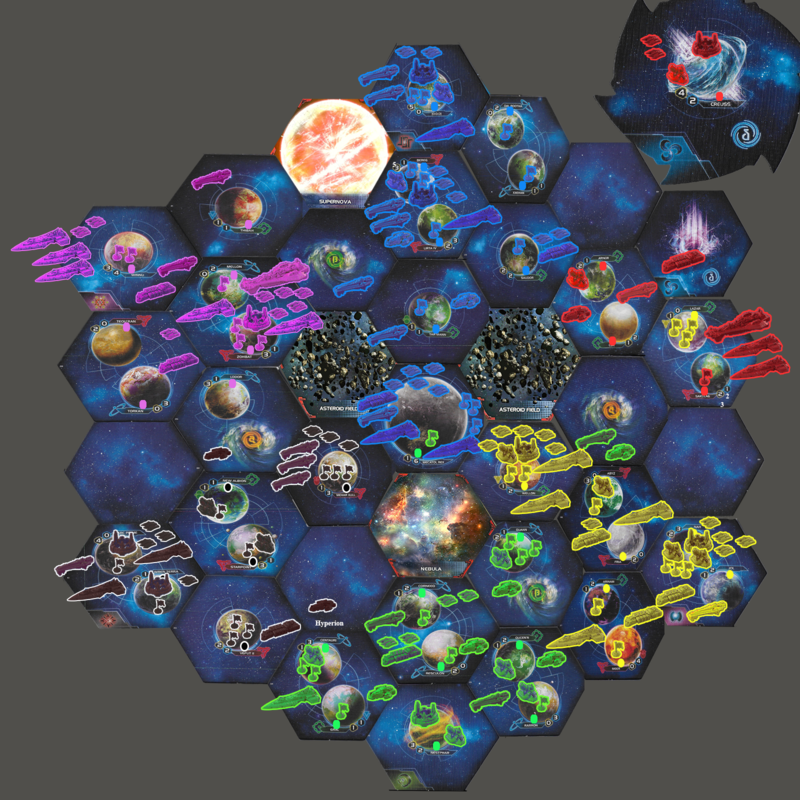 Twilight Imperium: 4th edition - Game #1: And they're off! Veto goes through. New agenda. Attach this card to the planet. When the owner of this planet researches technology, they may exhaust this card to ignore 1 blue prerequisite. Well, this is a bit more benign than the vetoed agenda. Even though it's late game, it's still got potential for whomever wins it. Light/Wave Deflector can be scary with a high-movement fleet, which seems to be the case for everyone with Gravity Drive. And even for Hedgethorn and Preda, getting blitz pushes with Fleet Logistics can also be game-changing. I'm feeling pretty willing to sell my votes for a couple of Trade Goods, though. Not so into it to try and go for it myself, plus voting first is quite disadvantageous. I'm fine with Preda, unless someone wants to buy it. I was thinking of voting for Wellon, currently under Jol-Nar control, to neutralize any impact of the Agenda. I don't like the use of that currently. That certainly makes more sense. Actually, looking at the map again, Zohbat is not a valid target. However, Thibah is, and is already a blue specialty planet. This means it won't have any real effect at all. Unless someone wants to buy my vote, thats where it will be going. I’ll have to look more into this when I get back after business dinner tonight. I had forgot what Jol-Narr's racial ability was. I'm willing to vote for Saudor; what are you willing to pay? As stated, I will allow you to put votes on Saudor... for free! I'm not doing it for free; that'd be silly! I'll otherwise vote for one of my own planets. That was a joke, you know? I hope that it's clear that my leadoff position in the voting order has firmly put me in the 'sell' position with my votes, choosing to put my votes towards Wellon if there are no takers. Of course! I'm still willing to sell you my votes, if you want them. I think we're good to start voting then. I'd @ everyone, but it's hard from the phone. Did Brody ever receive his VP for activating the Imperial Strategy card while controlling MR in round 4? I don't see any record of it on the Victory Track. If you take the difference between the total VPs and the listed sources, the value is 1, which should be the Imperial Primary VP. It seems like special VPs like that are currently implied, but not explicitly tracked, and I think MrBody said that he was looking into how to change documentation at the top of the previous page. If it's time to vote, I'll put 10 votes on Wellon. @Elvenshae is next up to vote. Actually, I think he's right. I have claimed 3 (1) point public objectives, 1 (1) point secret objective, and I got 1 (1) pt Imperial VP. Sorry, I probably should have payed more attention, and gotten that cleared up sooner. I think I kept forgetting I claimed the Trade Goods VP, because I was not anticipating having the TG's to buy it. 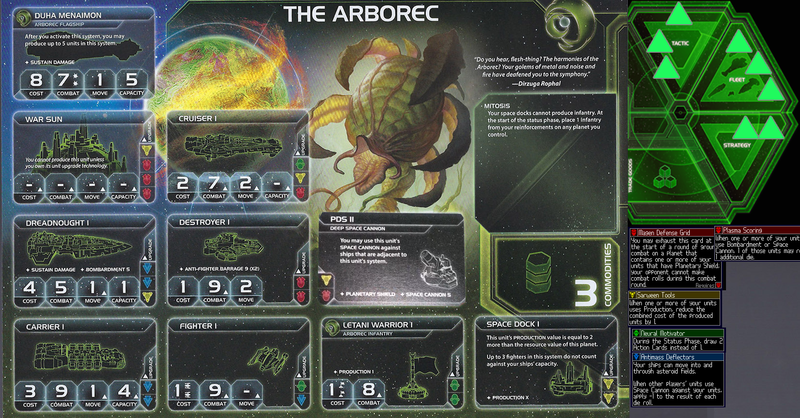 Arborec continues to offer support to Winnu's claim to the throne. Yeah, that was my miscount, I missed one of the public objective marks. It's also really hard to remember what's happened with a game that takes this long to play.  Also, looks like I've gotta get ready for Winnu's upcoming speed-up for the coming round. Those ships have got to go somewhere and I feel like I'm in the way. L1z1x - Secrets of the Cosmos Have one or more ships in 3 systems that are each adjacent to an anomaly. 1 VP. When the owner of this planet researches technology, they may exhaust this card to ignore 1 blue prerequisite. After the owner of this card replenishes commodities, he gains 1 trade good for each player who is his neighbor. The elected player gains this card and 1 victory point. 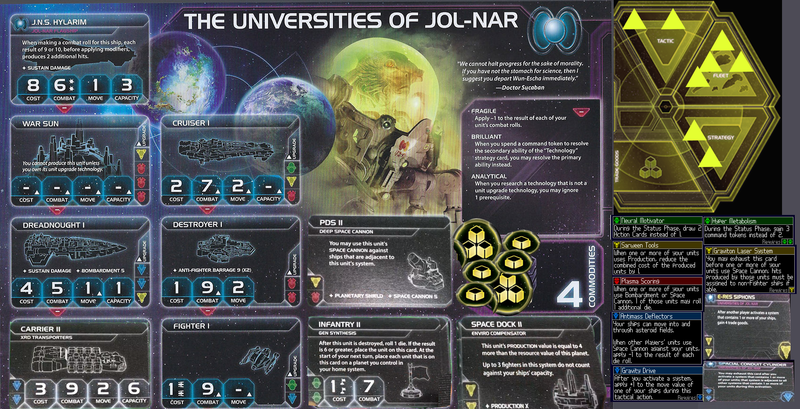 A player gains this card and 1 victory point if they capture a planet in the owner's home system. Then the previous owner loses 1 victory point. 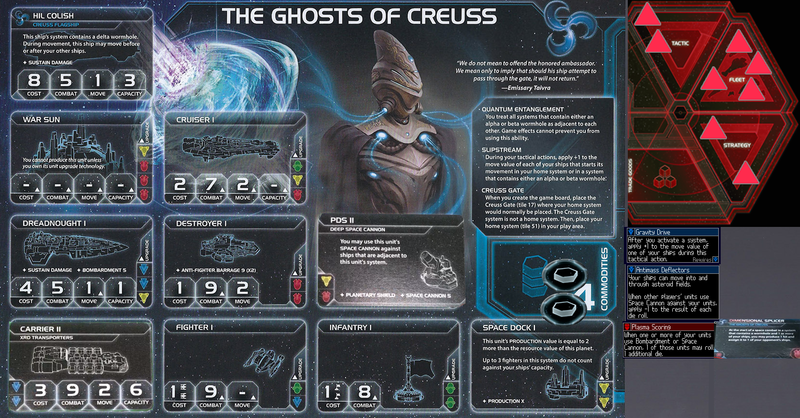 1 claimed- Secrets of the Cosmos Have one or more ships in 3 systems that are each adjacent to an anomaly. 1 VP. Letnev promissory note: Support from the throne. Gain 1 victory point. 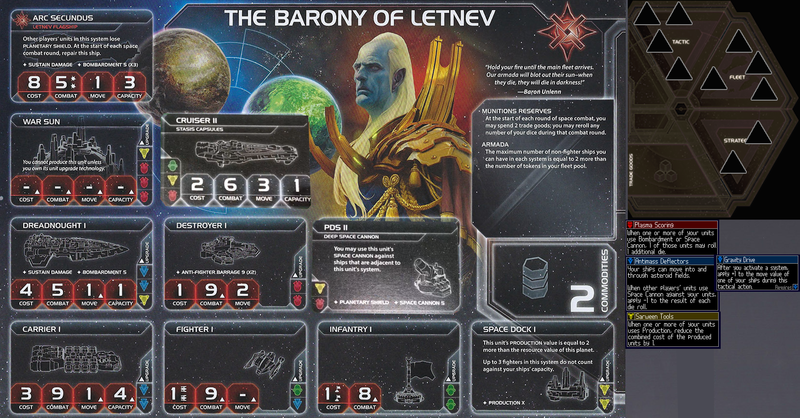 If you activate a system containing Letnev's units, lose 1 victory point and return this card to the Letnev player. Arborec promissory note: Trade Agreement- When the Arborec player replenishes commodities: the Arborec player gives you all of his commodities. Then return this card to the Arborec player. Letnev promissory note: Political Secret- When an agenda is revealed: The Letnev player cannot vote, use action cards, or use faction abilities until after the agenda has been resolved. Then return this card to the Letnev player. 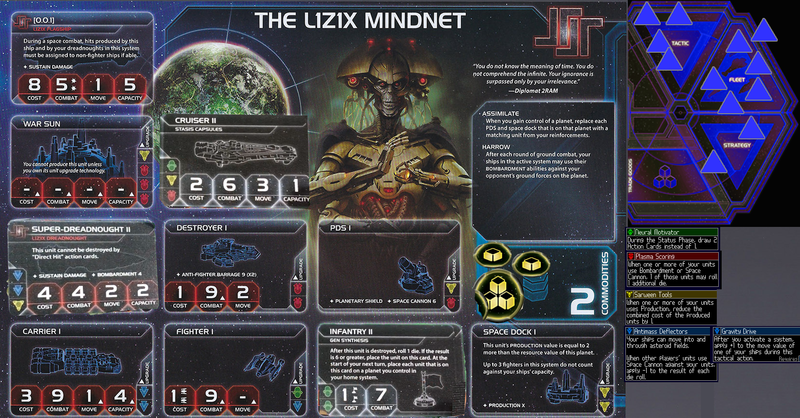 Crown of Emphidia - Law - A player gains this card and 1 victory point if they capture a planet in the owner's home system. Then the previous owner loses 1 victory point. Winnu promissory note: Support from the throne. Gain 1 victory point. 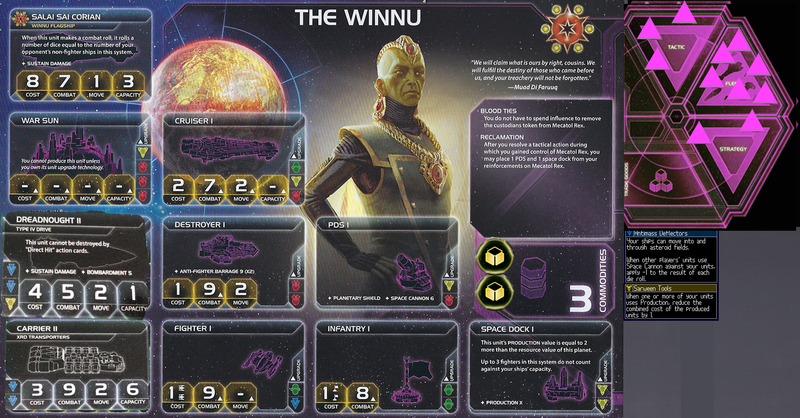 If you activate a system containing Winnu's units, lose 1 victory point and return this card to the Winnu player. Minister of Commerce- After the owner of this card replenishes commodities, he gains 1 trade good for each player who is his neighbor. Arborec promissory note: Support from the throne. Gain 1 victory point. If you activate a system containing Arborec's units, lose 1 victory point and return this card to the Arborec player. @MrBody I should be at 5 VP. 3 Public objectives claimed, 1 Secret objective, and 1 Imperial (Strategy) VP. I need to catch up, regardless of Mecatol Rex control. 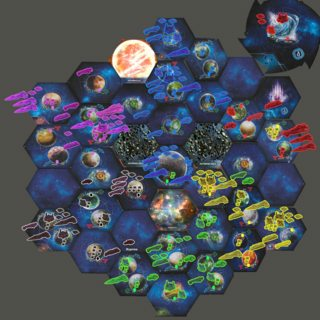 Select the (8) Imperial Strategy Card. @Elvenshae has the next selection. @Hedgethorn to wait for the new pick. Public Disgrace- Play when another player chooses a strategy card during the strategy phase. They must choose a different strategy card, if able.